*Note: at the time of posting these are now available at our Mainstore location! 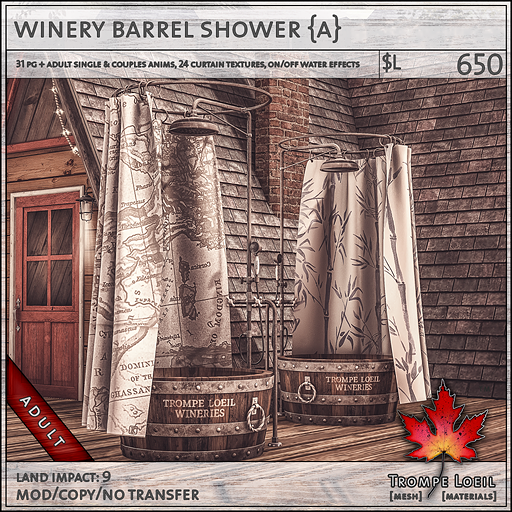 An upcycled rustic dream for indoors or out – the Trompe Loeil Winery Barrel Showers transport you to a vino-filled paradise! The Trompe Loeil Winery Barrel Showers feature a repurposed wine barrel as the base for a luxurious bathing experience. We include working showerhead with particle water effects and sound on touch, 24 curtain fabric patterns, mirrored left and right versions, and single and couples animations in your choice of maturities. 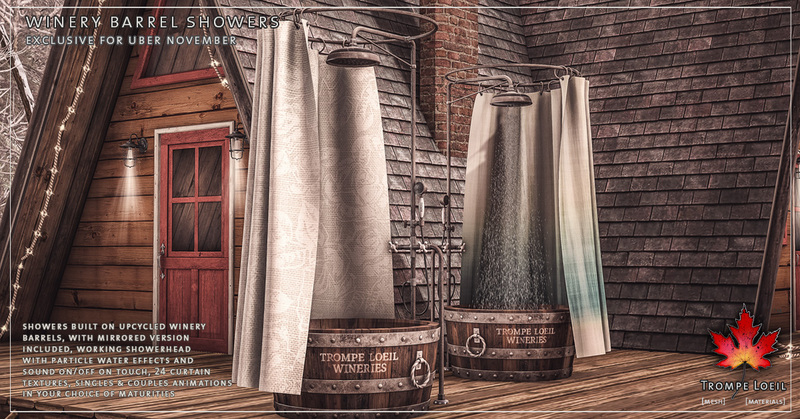 Originally at Uber November and now available at our Mainstore!